About 3.7 million animals were euthanized in shelters across the nation in 2008. Only we have the power to lower this statistic by adopting animals from shelters to prevent them from being killed. “With dogs in shelters, you feel like you’re giving them a new shot at life, but with breeders, they get no love or attention; they’re just forced to have babies” (Michael Paden |||). Quit giving your money and business to cruel breeders. Instead, help your local APL by adopting a pet that needs your home. Unfortunately, there is not enough homes for the abundant amount of dogs and cats being born each year. There is approximetely 70,000 kittens and puppies born each day, but only 10,000 people are born each day. This means for one person, there is 15 dogs and 45 cats. Overpopulation among these animals is a very big issue in our world and too many dogs and cats are left stranded without a loving and warm family. Shelter animals are spayed or neutered after arriving, to stop the increasing numbers of uncared for animals in the U.S. The animals that are brought into the shelters are given baths, shots, and are checked for diseases, physical issues, mental issues, and are fed. You know that when you go to find your loving companion, that they are well taken care of. A behavior screening process is also taken, so you know exactly what personality your pet will have before you decide to bring him/her home. There is a wide choice of animals at the shelters with varying personalities, ages, sizes, breeds, and appearances. It is hard to walk into a shelter and not find a pet that you just fall in love with; they’re all so desperate just to jump into your arms and go home with you. Some people find it hard to train puppies and don’t have the time to give them the constant attention they need. Luckily, there’s a wide selection of adult dogs that are already house trained and know basic commands, which can make life a lot easier. Remember, the statistics on euthanization are colossal and you can change this. 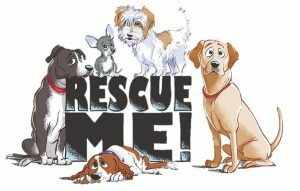 Please adopt from shelters and save lives. These animals are counting on us to help them and give them a place to call home.